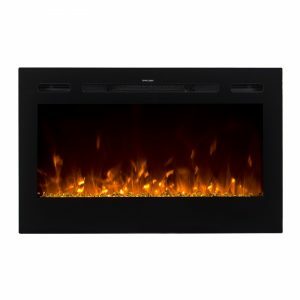 The IREC 54-Inch Electric Wall Mount Fireplace is a wonderful alternative for a traditional vented fireplace. 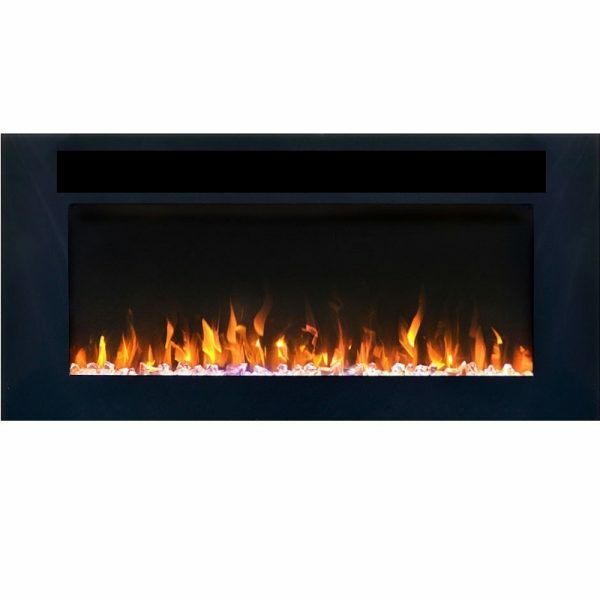 Its ample size and excellent features make it a fireplace option that is hard to beat.the IREC 54 inch can wall mounted. However, this fireplace will deliver maximum enjoyment thanks beautiful features. 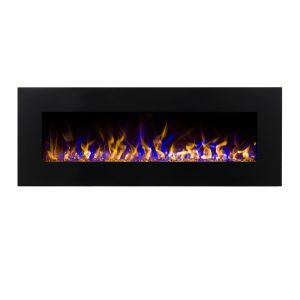 The contemporary glass and black framing complements the modern presentation of the flame effect. The crystal ember bed gives a unique and stunning look as the lighting projections reflect off of them. The intensity of the flames is adjustable as is the color. Choose from traditional orange, blue or a combination of the two. 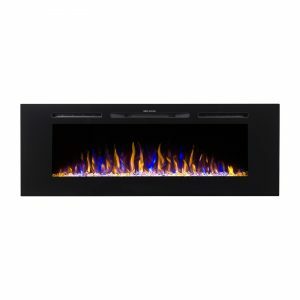 This creates the perfect environment or mood, and makes it a modern fireplace well suited to many settings.The remote controls all the features of the unit allowing you to adjust the temperature, flame colors, brightness, and on/off timer. This IREC 54 fireplace can deliver supplemental heating in areas of up to 400 sq. ft. It requires only a standard 120v outlet, and comes with a paintable cord cover. 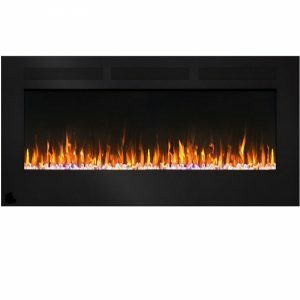 It is a truly a unique fireplace no matter how it is installed, and will deliver many years of reliable, emissions-free, visual enjoyment and affordable heating.